Siemens believes today’s residential surge protectors come up short when protecting today’s modern home filled with smart appliances and electronics. 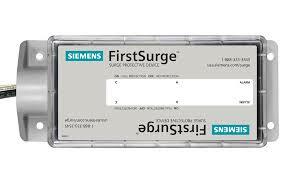 This is why they developed our FirstSurge™ commercial class total home surge protectors. These electrical system surge protectors are sized for where you live. They will let you know when there is something wrong or when they are worn out.